"Some sacrifices come at just too great a cost, what would you be willing to give up to ensure the happiness of a loved one?" It takes a very brave and confident writer to not give the reader the happy ending they believe a character deserves. What some people fail to keep in mind is the simple face that, not all stories can end with a happily ever after for everyone involved, especially when staying true to the storyline. Let's face it, in real life sometimes no one gets one at all. So when going to pick up this read, be sure to pick up a box of Kleenex right along with it. Upon learning more about the brothers, iAM and Trez, readers discovered there was much more to their past than anyone would have thought. The twins being on the run from their past for more than century. A fate that Trez saw as worst than death, to the point where he sullied himself to the point of no redemption. Something in which he thought, even hoped, would save him from being turned into a breeding machine for the future Queen of the Shadows. What Trez hadn't foreseen was falling in love with someone, and end up being ashamed of all of those very deeds. What's even more tragic is when he does own up to his feelings, and finds out she reciprocates his feelings, he also learns they have a very limited time with one another. The time they had left was lived up to its fullest. 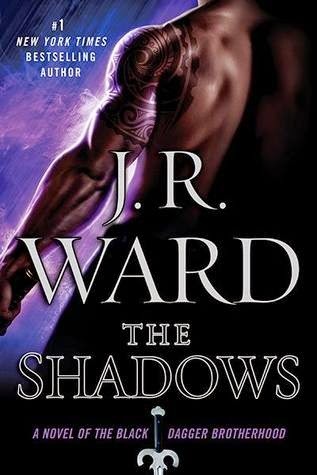 The Shadows, while maybe not the most action packed, was truly one of the most emotionally packed of the series. Jam packed with love, lost, loyalty, drama, intrigue and gives readers a chance to catch up on whichever couple was their favorite, because all are involved in this one in some way, shape or form. As with any loss, it effects all involved.